AppleInsider reports that Apple has requested that its retail store employees sign non-disclosure agreements in advance of an "all-hands" meeting that the report claims could come in advance of a media event. People familiar with the company's retail plans revealed that Apple employees on Monday were asked to sign non-disclosure forms. Those who did not sign are said to be excluded from the next employee meeting, expected to be held in the next week. 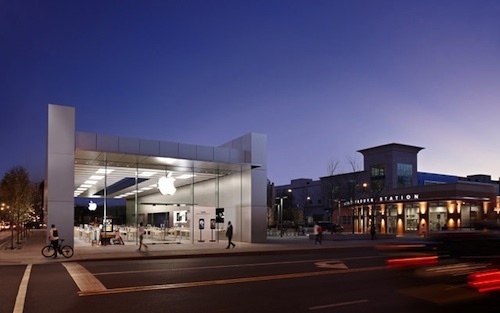 Those privy to Apple's brick-and-mortar businesses indicated the meeting was originally scheduled for last week. But the meeting was apparently pushed back for one week, for reasons unknown. Exactly what the meeting would be about seems to be in question, as the report seems to expect that the meeting would occur on Sunday night after store closing as has happened in the past, timing that would place it after the debut of new MacBook Pros widely expected for this Thursday. The timing of the meeting could suggest that Apple plans to hold a media event to unveil new products, and could send out invitations to such an event as soon as this week. Lending support to this, Robert X. Cringely confidently began his latest column on Monday with: "Next week Apple will have a product event." Cringely presumes the event will be used to introduce new MacBook Pro models with Intel's high-speed Light Peak technology. Cringely's report also suggests that we could see Light Peak-equipped Mac minis, although it is unclear what the basis of his speculation might be. Today's report does not, however, appear to definitively state that the all-hands meeting will occur on Sunday, meaning that it could potentially occur within the next day or two and relate to preparations for Thursday's expected MacBook Pro launch. But if the meeting truly isn't until Sunday and the MacBook Pros appear on Thursday as expected, AppleInsider suggests that the forthcoming media event could see the introduction of the second-generation iPad, a move would that would seem to require a product release in line with the majority of rumors that have been pinpointing a first quarter launch. It would also seemingly rule out recent claims that the next-generation iPad will not debut until June. Apple has also just been rumored to be releasing updated iMacs sometime in the near future, although it is unclear why the company would host a media event to introduce only the iMacs and not the MacBook Pros if the company wanted to highlight its Mac lines with another event. Update: We've received word from several sources that the meeting is simply a standard quarterly meeting for retail employees and should not entail any specific disclosures related to new products. Update 2: We're hearing from other sources that Apple is indeed requiring employees to sign specific non-disclosure agreements for this meeting, a step that is not generally employed for such quarterly meetings, suggesting that something out of the ordinary may in fact be discussed at the meeting. That is one of the most tasteless things I've ever seen on the internet.